How about a 20% or more boost in your sales effectiveness? If you want to improve the quality and efficiency of your customer meetings and boost close ratios, then this webinar is for you. You can accelerate your sales development by mastering how to plan for every sales call. 1.What is a pre-call planning? 2.Why is pre-call planning one of the most effective sales tools to increase sales effectiveness? 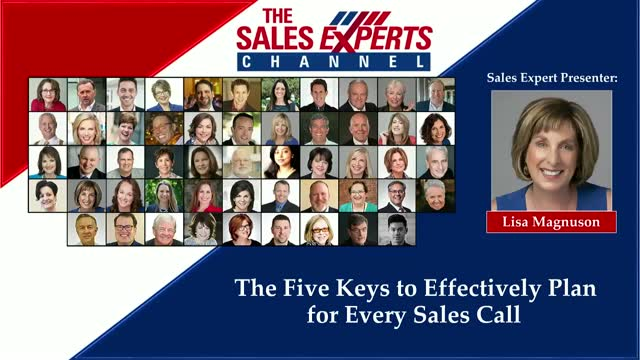 3.What are the five keys to successfully plan for every sales meeting? 4.What results can you expect from pre-call planning?